I'm quite new to cycling and soon I'll experience my first winter cycling, thaמkfully I live in quite a dry country so we don't have a lot of rain. 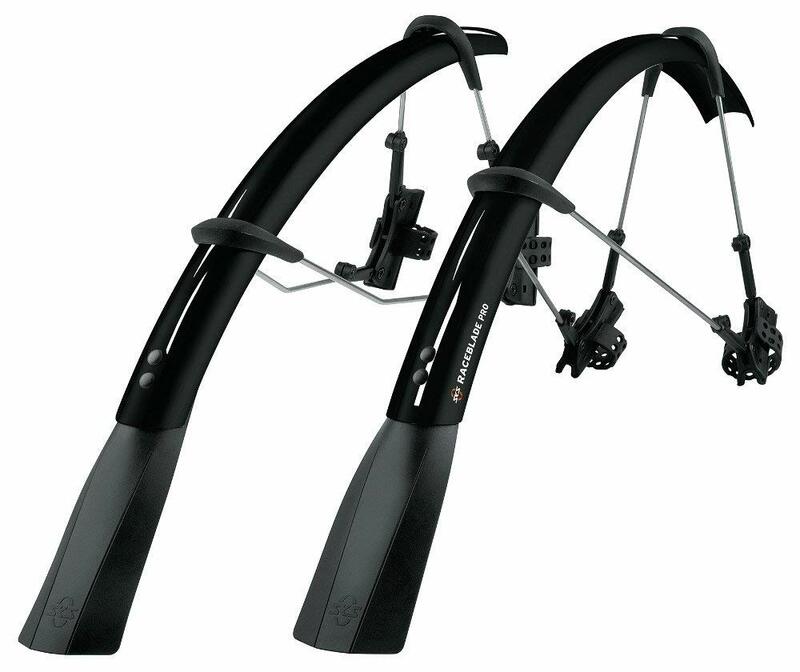 I've read all about the clearence issues of regular full mudguards with most road bikes but I'm still quite confused about what I should order. I have a Ridley Fenix Classic and it should have the regular tire clearance that most road bikes have (I have a 23mm tires). I know the general guidelines but would like to get help about what mudguards will surely fit my bike. *Or maybe it's very hard to guess what mudguards will fit by ordering online and will be better to just find a big store that will sell those (probably'll be a bit more expensive)? To discuss the differences of your examples, one is longer than the other. This means the drive train of the bike will be better-protected. Here's the shorter ones on a bike. You can see how water flicked off the back wheel will not hit the rider, but water will saturate the crank area and top/bottom chain run and crankset. Remember that road water is utterly filthy and contains all sorts of contaminants, ready to wear out your drivetrain like a grinding paste. 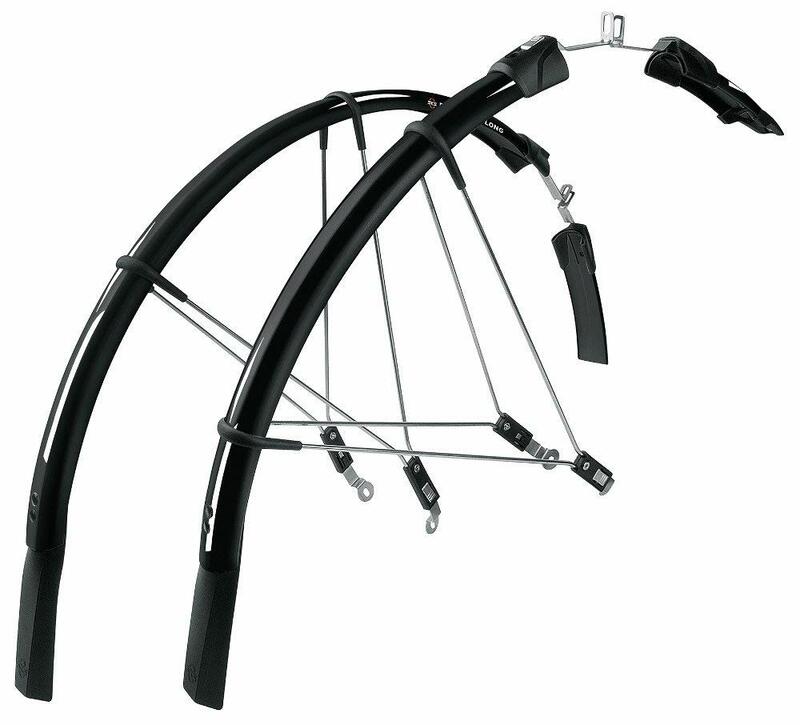 Ideally a full rear mudguard/fender would come right around the tyre and go down to even with your bottom bracket, or just below. Some designs use a plasticky/rubber/leather skirt to help extend the effective end of the guard. Second difference is that one set is clip-on and the other set is bolt-on. I personally own a set of each style, and once fitted they're functionally the same. However clipon ones are easier to take off if you want to race, or not carry that weight up a hill. Bolt on ones can't slip, but if they snag an obstruction, then its more likely to stop you than snap off safely. Modern bolt-on styles often have a breakaway connector somewhere. Clipon ones may also damage paintwork if they get some road grit between the pads and the frame, and they may end up a bit wobblier due to the angles of the supports. Also clipon ones may not attach to the brake bridge either which is one fewer support, adding to potential wobbliness. Lastly, brake clearance is often the main stopper as per other answers. If you have disk brakes then they can interfere with where the left-side strut/stay goes. Some bikes also give issues at chainstay and seat stay areas. Notice the longer mudguards/fenders have a break around where the brakes are, to allow for this. Bikes with long-arm V brakes tend to take mudguards fine. Mini V brakes not so much, and calipers maybe harder. You can fit a carrier rack and then line that with flat plastic. There are solutions that involve recycling an old tyre or old bottles as a guard on some homemade stays. Regardless - mudguards make rain riding less bad. Specific product recommendations are off-topic here. 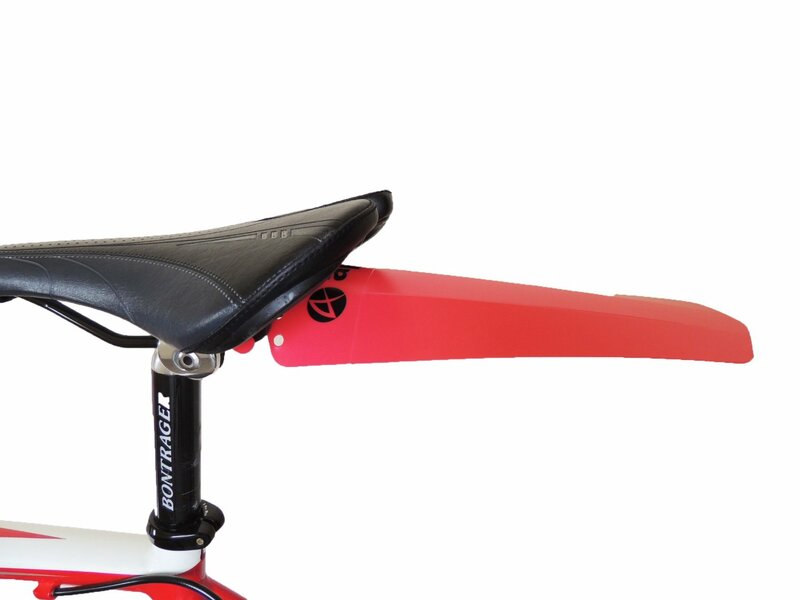 With regard to bike fenders, though, there are several things to consider. Fit is perhaps the most important -- the fenders must not only fit but provide reasonable clearance for the tires you may be using (keeping in mind that lugged tires need much more clearance). After that you need to consider the ease/robustness of the mounting system, the robustness of the fender as a whole, and the coverage provided. With regard to clearance, one thing you need to do is figure out the actual diameter and width of the tires you will be using and compare that to the fender specs. The couple of times I've bought fenders online this has worked for me. Added: One important thing to consider is toe clearance on the front fender. Usually any fender will result in some minor toe clearance issues, but there's a difference between your toe occasionally brushing the flexible plastic fender and your foot jamming against an oversized stiff metal fender. And another thing: If you have plans to ride in the snow then either avoid fenders entirely or get ones that are easily removed. In the right connditions snow will quickly become jammed between tire and fender and make you grind to a halt. Not the answer you're looking for? Browse other questions tagged road-bike fenders weather rain or ask your own question. Do mudguards/fenders help? If so, what are the best for a fixie commuter? Why is 53/39 known as “standard” for road bikes? 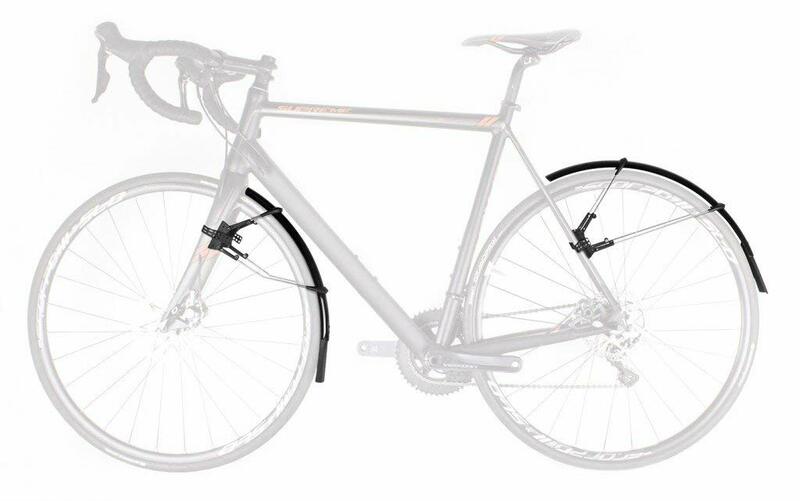 How should I adjust fenders/mudguards that catch on the tires? Where is the best place to park a folding bike? How do you bicycle the most efficiently on a road bicycle?